Mike Brown's date stared at him in shock as he told her he’d have to cut their evening short after only 30 minutes. She must have assumed the rendezvous had gone terribly wrong, but that wasn't it. Brown — a veteran of both Facebook and Twitter, where he built their corporate development teams — had just gotten a text message from his CEO. It turned out all of the major companies in Silicon Valley were after the hot startup his company was hungry to buy, and his CEO had just made a handshake agreement with its founders. He’d also promised that the acquisition would be done in 48 hours. Now it was up to Brown to make it happen. Fast. In the end, his company paid up and sprinted to complete what turned out to be an incredibly strategic talent acquisition. The entrepreneurs sold their company with a terrific outcome – a solid financial return, little distraction from business as usual, and good new jobs for the team. But talent acquisitions come in many shapes and sizes. And as more large companies starve for technical star power, the rate of acqui-hires is only accelerating. One might think this would give entrepreneurs more leverage, but that isn’t always the case. Brown – who, incidentally, ended up marrying that blind date — may be sitting on the other side of the corporate development table, but he’s uniquely qualified to offer advice to founders looking to sell and to help entrepreneurs optimize for M&A success. In a talent acquisition, someone has to fire the first shot: the company interested in what someone smaller is doing, or a startup looking for a new home. For founders, motivations run the gamut. Engineers are key bridge builders in the process — but so are advisors and investors. It’s not out of line to ask your VC or others close to the company to shoot an email to a prospective buyer to warm up the lead. “There are a few bright stars in Silicon Valley, and it’s a small universe,” Brown says. “If you can work with a VC or an advisor who is one of those bright stars, you want them advocating for you." Are they interested in the product or the technology at all? Do they want the whole team or just a few key members? Would the team stick together if acquired or be broken up and scattered? As soon as a deal is initiated, everyone needs to agree on process. Brown describes it as a journey with built-in checkpoints. Speed might be important, but each side needs to show their cards in a deliberate, measured way, and in exchange for information from the other side. When this doesn’t happen, things go wrong. Why is your technology special or unique? How does your product or team compare on a nuts and bolts level with your competitors? How truly unique are your team’s skills on the open market? And how many team members actually fall into this special category? What infrastructure have you already built that could be helpful or repurposed? Do you have any patents that would be impossible to get elsewhere? “The trick is to establish a clear timeline where both sides are sharing information at defined checkpoints along the way. This is the only way each side can fairly determine if it’s worth moving forward,” Brown says. Rushing can lead to bad decisions and unequal terms. Often, Brown has seen entrepreneurs pull in all their employees only to see the deal disintegrate soon after. This isn’t only a concern for the seller, either. A buyer doesn’t want to raise the alarm at a startup if it means a bunch of people are going to leave, complain, or neglect the technology. The main remedies for this are speed, clarity, and a conscientious approach on both sides. You have to view information as currency you can trade to learn more. Eventually you’ll get to the point where everyone is on the same page. Another lower-risk approach is to have an advisor, board member or influential engineer hint at the fact you have other buyers in the ring, Brown says. Pick someone that other people will listen to, and whose maybe been through successful sales in the past. That’s a fairly safe tactic to bring other buyers into the conversation, or even a bidding process. The destination of this arduous journey is to get to a good term sheet, but it’s always helpful — and potentially more lucrative — to get to several term sheets at once. Term sheets are long and complicated. To boil it down, Brown says there are roughly five areas sellers should focus their attention: price, vesting, indemnification, earn out, and hold back. Several of these have to do with retaining employees. But the one overarching concern: taxes. Merger: Buyer takes on all assets and liabilities, which could include debt. This requires the most work, but all the proceeds are taxed at lower capital gains rates. Asset Purchase: Good for the buyer because it let’s them cherry pick what they want and leave the liabilities behind. This can also be a tax friendly option if the buyer and seller can prove that the majority of assets were purchased and that they’ll keep running in some form. Then the seller can also take advantage of capital gains rates. Employment Release: Often seen in talent acquisitions, this means that the acquiring company is basically hiring the startup team and compensating them as employees. It’s fast and easy, but leaves sellers out in the cold paying regular tax rates. From the seller’s perspective, a merger is preferred, but asks the most of the buyer. That’s where the other terms come in to potentially sweeten the pot. Price can seem obvious — it’s a mix of cash and stock — but a lot of sticky questions can come with a quote. “What is the buyer saying its stock is worth? A seller needs to know what’s realistic and what’s ambitious. If the buyer is using stock and telling you its worth a million dollars, ask why they think that. Then ask yourself, do you believe them?” Brown says. Employee retention is often built into company sticker prices. “If I’m a buyer, I could say I’ll buy your company for $1 today but offer you millions in contracts to stay on, or a meaningful salary package over the next four years,” says Brown. “The hard thing about retention is that it can cause friction between founders, investors and key employees.” With retention structures and contracts, a buyer can make sure the money goes where they want it to go — to a promising junior engineer they want to keep on, for example, instead of the office manager who technically owned 20% of the company’s equity. Vesting also plays a huge role in retention. Essentially, it dictates how much stock the seller can expect to get in the acquiring company over a certain span of time. This is where entrepreneurs have to think very carefully about their employees and what they want their own lives and careers to look like. “It could be that you don’t really want to stay at the buying company for very long, so you can make that clear, and maybe they’ll still be willing to buy you with a shorter vesting schedule. Or maybe you think the company you’re selling to is wonderful, and that you can see your self becoming a leader there.” In that case, you’d want to accept a longer vesting schedule with a bigger payout. Indemnification is standard to most acquisition deals, but a foreign concept to many first-time founders. “Indemnification says that before someone buys your company, you’re going to tell them a bunch of stuff that could impact the value of the deal,” Brown explains. “This could include who your employees are, who your contractors are, who wrote your code, your liabilities. It’s designed to protect the buyer.” It also creates a pool of money — generally 15 to 20% of the deal price held back over a year to 18 months — to cover the buyer if something unexpected comes up, like an expensive IP lawsuit. For the seller, this is extra incentive to be transparent. Otherwise they risk having money pulled out of their deal. Know who your champion is. Deals can involve any level of the company. Sometimes the seller is meeting 1:1 with the CEO. Sometimes with the CTO, VP of Engineering or head of the relevant department. If this isn’t the case, it’s a sign the seller isn’t high on the priority list. You need a strong advocate inside the buyer, and the higher you register on their org chart, the likelier it is you can get more value for your company. “If the CEO or other senior people want to meet you and be involved with the process, you have more negotiating leverage. Same goes for influential engineers. If one of them says they absolutely need your team to ship their product, that’s great.” One thing you shouldn’t do is go hunting for a sponsor. “If you insist on meeting with the CEO, you can probably make it happen, but it won’t make you or your company more valuable,” Brown warns. Know your true value. “Imagine a two-by-two matrix where one axis is uniqueness of expertise and the other is the number of people with that uniqueness. The closer you are to the top right of that matrix, the more negotiating power you have as an entrepreneur in an acqui-hire situation,” Brown says. “If you’ve got only one unique guy, a buyer can probably find that elsewhere. If you have five guys, or you’ve cornered the market on a specific expertise, that makes it very difficult for a buyer to find an alternative, and you’ve got a lot more leverage.” You have to view your company realistically through this lens, and then know how to spin it to put yourself in the best position. Figure out how common the skills your team has are, make an argument for their scarcity, and use that to anchor an agreeable price point. Know where your product stands to negotiate vesting. Most of the time, it’s unclear at the start of a deal whether it’s product or talent-focused. Buyers don’t give up that information so easily. But there are tells. Vesting, especially, depends heavily on whether a buyer values a seller’s technology or not. If it’s all about the talent, then the entrepreneurs are probably looking at longer vesting schedules of four years or more. 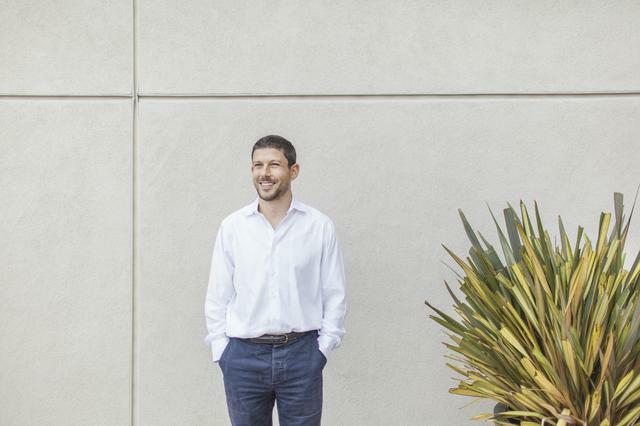 “In this case, the buyer’s only doing the deal because they want you to look and perform like any other employee at their company,” Brown says. “This might not be what you want as a seller.” That said, If you can make an argument for how your product or technology might be useful, you could negotiate shorter vesting. Term sheets make room for negotiation, all with the objective of arriving at a definitive agreement. This is the point where one offer is selected, and light appears at the end of the tunnel. But a seller shouldn’t let down their guard just yet — deals can and often do fall through before papers get inked. To ensure a painless process, it’s also critical to have all your advisors, investors and other stakeholders in agreement ahead of time. This is the best argument for keeping key members of this group involved in the acquisition from its very earliest stages. The last thing you want is to be herding cats to get signatures and dealing with heavyweights with strongly different opinions. That’s the kind of thing that can jeopardize a whole deal. There’s a level of specificity that comes with definitive agreements that forces both parties to discuss everything they haven’t before. It’s easy for one side to make inaccurate assumptions because something wasn’t spelled out in the term sheet — only to find out there’s a deal breaker buried in the details. “Termination without cause is something you see come up as a hot spot issue,” Brown says. “You’re suddenly asking questions like what happens if you fire me a year from now for no particular reason? What protection do I have that you won’t screw me over now that you’ve taken my team? A lot of founders are nervous about this particular issue.” Building in protections like that is something you see at the definitive stage that can set everyone on edge. Then there’s customer contracts. During the term sheet phase, a seller might not have gone into specifics about its customers. Suddenly, in the definitive agreement the buyer discovers they have to continue serving customers due to prior commitments. “I’ve seen this issue almost scuttle a deal because the buyer didn’t want to put in the effort to maintain customer relationships,” Brown says. To smooth the way, sellers need to understand exactly how and when they can terminate customer relationships — and ideally bring it up during term sheet talks. Generally speaking, the gap between definitive agreement and close is a lot less treacherous. During his career, Brown’s never seen a deal go bust at this stage. But that doesn’t mean it can’t happen. His major pointer: “The founders and corp dev executive on the deal need to get together and create a cash flow statement. The goal: define all cash ins or outs that will happen before the deal is done. Otherwise, what can happen is that the entrepreneur says, ‘Oh, we had to spend $200,000 more than we thought, sorry,’ and the buyer has to eat it. If the buyer doesn’t want to eat it, they might pull that money out of the deal. Then all the payouts to investors need to be changed, potentially blowing things up.” The upshot: get that cash flow statement in writing with everyone’s stamp of approval. Finances: Look beyond the dollars and cents. Drill into terms like time-based vesting, indemnification, and what happens to everyone financially if people refuse to join the other company or if they leave early. Impact: If you want your vision to live on, make sure it’s part of the deal. “I’ve seen acquisitions where the founders and team were split up immediately. If you want to keep working on the same ideas, ensure your team will stay together,” Brown says. Clarity: Founders have to understand the intent of the buyer inside and out. “Whatever time a seller spends on financial issues, they should spend twice as much on getting clarity around what things will look like after the dust settles. Who will report to who? What will happen to the tech? Culture fit: Often overlooked, at everyone’s peril. “I’ve been part of acquisitions where there was some culture fit risk at the outset and it came out in challenges down the road — people not working well together, creating a tremendous number of problems,” says Brown. As a coach to an entrepreneur, I’d say fight hard for what you believe in. Don’t sacrifice things that are important to you and your values. Not sharing enough. “If you’re trying to get bought, don’t be hyper paranoid and withhold information. It makes it almost impossible to figure out if there’s a good fit,” says Brown. “Sometimes you see sellers who say, ‘We can’t tell you that’ about everything. Even when you ask them about the people who work at their company, they won’t tell you because they’re afraid you’ll poach them — which is very unlikely.” In short, while it’s important to be deliberate and share information at appropriate checkpoints, it is possible to be too careful. Being a house divided.“A seller not being united in what it wants is a difficult situation. Sometimes investors have their own agendas, or the founders each have different goals. As a buyer, you find yourself negotiating with a multi-headed monster. Even if you have a wonderful rapport with the entrepreneur, you could have a rogue investor or board member out there complicating things.” You want to make sure you’re communicating with one voice, especially when lawyers get involved. If there’s too many people on the seller’s side of the table, it’s a really bad sign. So what can you do to give yourself the best shot? The pool table was heavy to move, but worth it.